For the first time since the Union, they will have it in their power to determine whether Scotland is to recover the management of its own affairs. At first glance we may naturally assume that this comment relates to the independence referendum that takes place this September, but it was actually written 121 years ago by William Mitchell, treasurer of the Scottish Home Rule Association (SHRA). 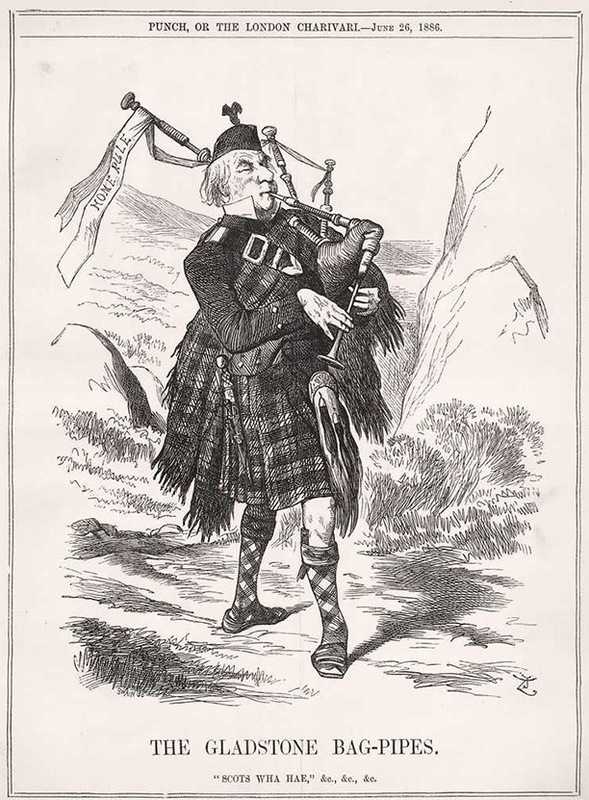 In the same piece Mitchell urged that the time had come for his fellow countrymen to throw off the shackles of the Westminster party system and support solely those who were pledged to the restoration of a Scottish parliament. The SHRA, formed in 1886 in the midst of an acute constitutional crisis, sought the passage of ‘legislation for Scotland in Scotland’ and used the term ‘Home Rule’ to ‘express shortly the right of the Scottish people to manage their own affairs’. They counselled that only a reinstated legislature could ‘carry out what the people of Scotland want’, for ‘the Scottish people know their own business best’.